It seems like everyone knows Vietnamese food. It’s the new craze taking over cities from San Francisco to New York: Pho. Spring rolls. Banh mi. But what about chocolate? Cacao has been growing in Vietnam for the last 150 years. Yet, there’s no truly unique Vietnamese chocolate brand. Global chocolate companies have recently come to the country to export the product, only to mix it with other chocolates to create a mixed, generic brand. There’s little Vietnamese identity left in those final products. Enter Marou Chocolate. The quintessentially 21-century chocolatiers represent the steady modernization of Vietnamese brands. 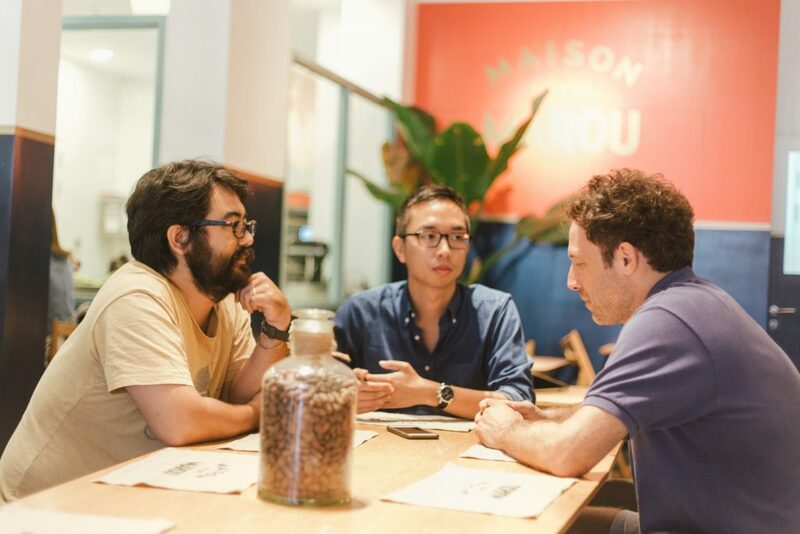 We had the chance to sit down with Samuel Maruta and Vincent Mourou from Marou Chocolate to talk about their brand, their story, and what makes them excited to work in Vietnam. What inspired you to start Marou? Vincent: We love chocolate. On a trip five years ago to an agricultural area outside of Ho Chi Minh City, we stumbled upon a small cacao farm and realized no one was doing anything with it. Samuel and I didn’t come from chocolate making backgrounds, let alone from entrepreneurial backgrounds. 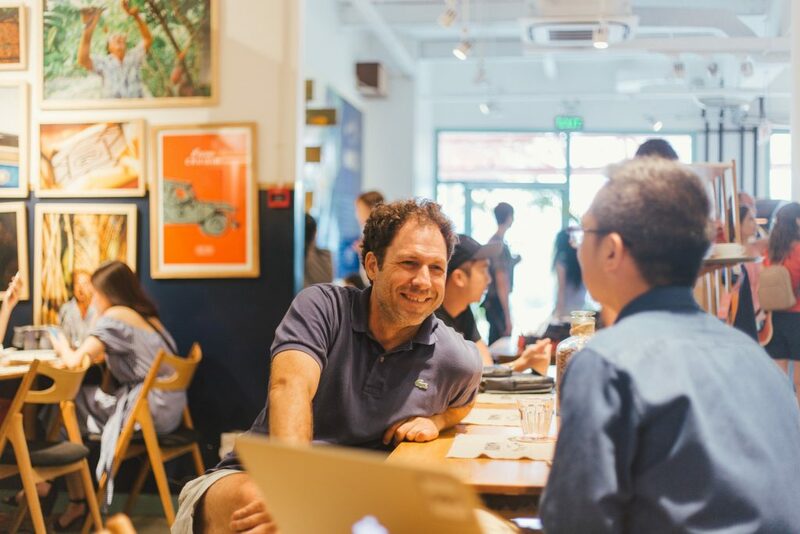 We were excited by the idea of doing something new and innovative in Vietnam with a food that has immense potential. We knew it immediately when we tasted the cacao ourselves on that trip. Samuel: Vincent worked in film and advertising. I worked in finance for 10 years in France and I came to Vietnam originally to work for a bank. When my contract was over, I decided to take a year off to explore new projects. When I had to choose between pursuing my banking career somewhere else or staying in Vietnam to experiment with Marou, Vietnam won. We joined together to start Marou soon after. What are your greatest challenges for growing the Marou brand? Samuel: We invest a significant amount of revenue and new capital back into the business. The profit margins are not as high as people imagine because the raw material (the cacao bean from Vietnam) that we use is expensive. It’s a labor of love. Vincent: Our brand is strong, but we punch above our weight in terms of revenue. We’re getting there, but we’re focused on the team and brand. Samuel: Another challenge is protecting the integrity of our chocolate. In Vietnam, our chocolate has no fair trade or organic logos. We are proud to know the farmers who sell us cacao by their first name. We pay them a premium reflecting the care given to the post-harvest processing. By working directly with the farmers, there is no middleman to pay. As our distribution grows, we do everything possible to ensure that this process and the integrity of our chocolate remains the same as when we first started. What is it like working in the Marou factory? Samuel: The roasting, shelling, grinding. Everything our factory does, the shop on Calmette does too. It’s a mini factory. The shop is identical in respect to the machines and the process. The room is split into two: one half is making beans. The other half is using the chocolate to make fashion items, pastries, you name it. The store is meant to bring transparency and visibility to the chocolate making process. It’s our way of sharing the excitement of what we are building. 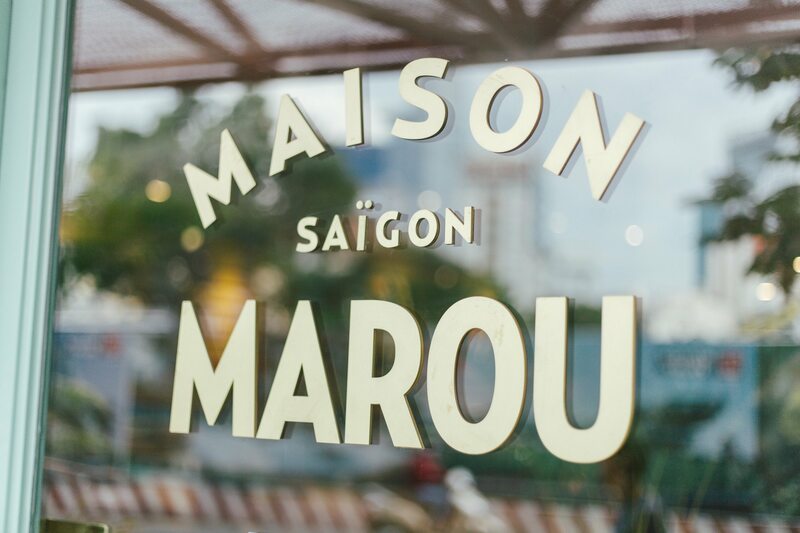 What has it been like working with Vietnamese people to make the Marou brand? What makes Vietnamese people stand out? Vincent: It’s been a five-year journey and we’ve been working with Vietnamese people from the start. You need Vietnamese people to help you in Vietnam. A lot of young Vietnamese people are very motivated, there are many of them on our team. You also find some not so great people. It’s the normal life of a business. Samuel: Some people have been there from day one. They were running around and now they are your team managers. It’s remarkable to see how people grow into their current roles. I’m happy to have seen their careers evolve. Hao: Is it easier to hire A-players or nurture people with potential? Vincent: When you start from scratch, you can’t get A-players. You can’t promise people anything and few can take the risk because they are already doing cool things. With others, you try to grow them and it can be a hit or miss. Some will grow into new roles, others will become specialists. In Vietnam, you need to be resourceful. Everyone’s a generalist. The two things I look for are resourcefulness and attitude. As you get bigger, you need more specialization, then you can attract A-players. Many Vietnamese entrepreneurs want to export their brand overseas. What advice can you give brands that want to go abroad? Samuel: There aren’t many Vietnamese brands that are successful overseas. One that comes to mind is Red Boat Fish Sauce from Phu Quoc, but they don’t even sell in Vietnam. A lot of Vietnamese brands are too focused on the mass market. Many are not sure what makes a brand stand out in the overseas market. The product has to be remarkable. Being remarkable means having a remarkable story and remarkable origin. Showing how chocolate is made, where the cacao comes from. You need a very tight story, even if it limits you at first. Vincent: A brand needs attention to quality, not attention to marketing quality. In marketing, people try too hard to convince you. It should sell itself. Pizza 4 P’s is a pioneer. They are one of the first to do a lot of experimental things in Vietnam: selling high-quality pizza, Japanese style pizza, and growing their own cheese. They even own an organic farm. They brought their own cows into Vietnam. We started around the same time and we feel aligned with the same spirit and values. Vincent and Samuel: We have a long-term investment near here, a cacao farm. It’ll take five years before we can produce any product from it. When it’s complete, we’ll have 2500 cacao trees. When we were scoping out potential projects, the owner of the land came to us saying that rubber offers a poor return right now. So why not try cacao? The owner also wants to do an eco-resort experience eventually. What’s really important for us in this specific project is two things. First, showing that things can be done differently, in a very environmentally friendly way. Second, having this project succeed is a way for us to show that this slow and arduous way can eventually yield results that will encourage others to follow this environmentally and socially responsible model. 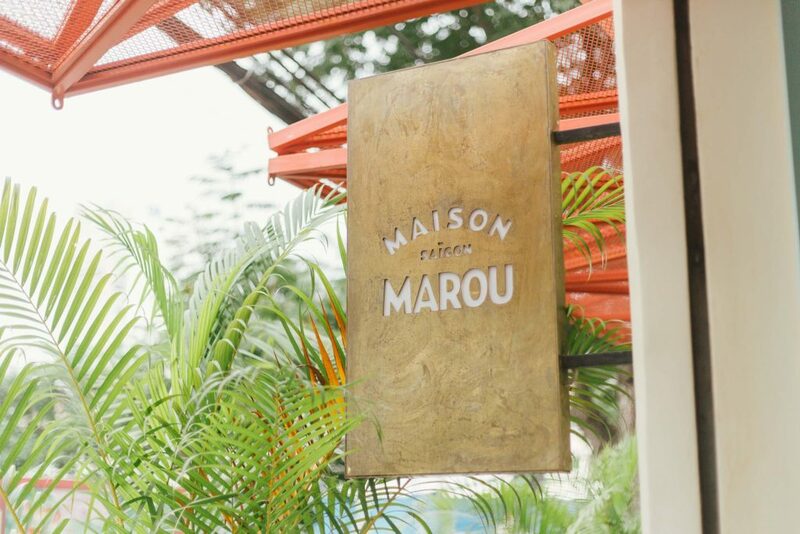 You can find out more about Marou by going to their website here where you can learn how they make their chocolate and where to buy it.